In this Sept. 5, 2018, file photo, Alex Jones of InfoWars talks to reporters outside a hearing on Capitol Hill in Washington, DC. 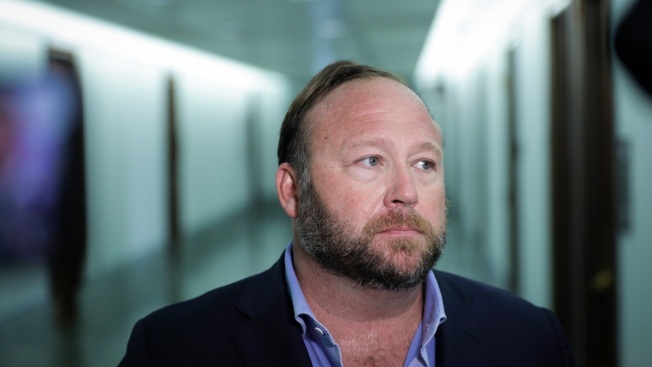 A Connecticut judge has ruled that Infowars host Alex Jones must undergo a sworn deposition in the defamation case brought against him by family members of Sandy Hook school shooting victims. Discussions on Jones' web show have called the Sandy Hook Elementary School massacre a hoax, and lawsuits by families of eight victims and a first responder say they've been subjected to harassment and death threats from Jones' followers. The superior court judge also ruled Wednesday that the families can depose several other defendants in the case, including those critical to Infowars' business operations. Jones has defended the discussions on his show. He has cited First Amendment rights and says he believes the shooting happened. 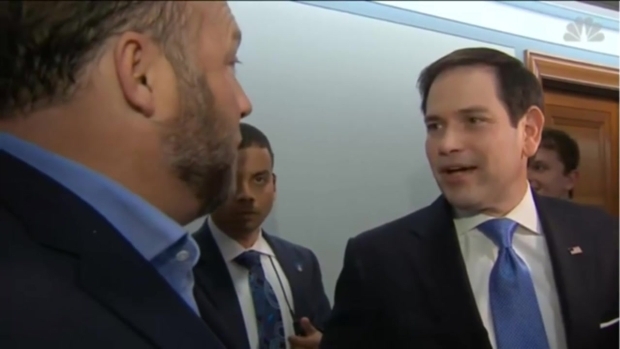 Florida Sen. Marco Rubio and Infowars host Alex Jones had a tense confrontation amid this week's social media hearings at the Capitol.